The Focus Brands’ senior vice president believes that the line between snacking and meals is starting to blur – in terms of the number of snacks replacing meals – as consumers want more snacking and fewer formal meals. He sees that China’s outbound tourism is being a major force in the store performance in destination countries, as well as in the acceptance of new and novel concepts. He also stated that malls are becoming more like an F&B site with a much greater focus on entertainment and less on the retail aspect. This new development forces malls to create buzz to stand out more. 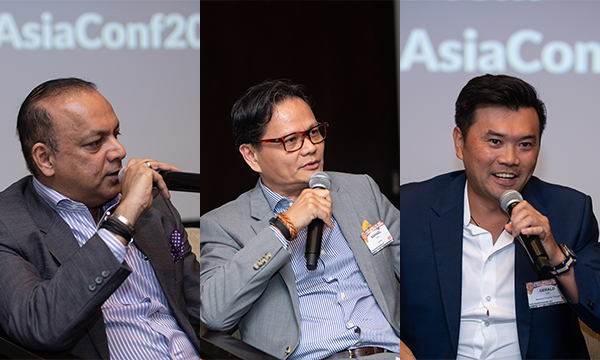 These are some of the points Chen would focus on as part of the Leaders’ Panel in the QSR Media Asia Detpak Conference and Awards to be held at the Grand Copthorne Waterfront Hotel in Singapore on the 24th of January 2018. “Australia and Vietnam are also markets we are working on, but the big focus for the next few years will be China and Japan. We are seriously evaluating the situation in India and may invest there as well,” he added. 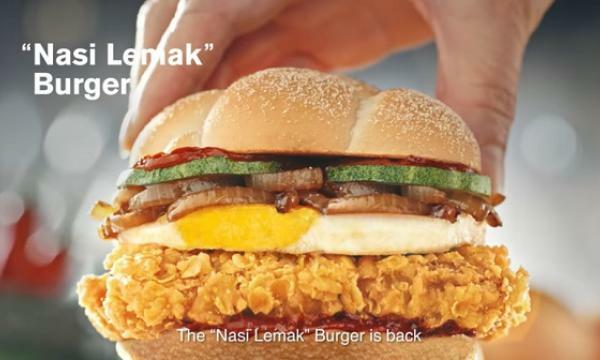 He has started in a non-traditional way by coming to the F&B industry from a 20-year career in strategy consulting. Prior to Focus Brands, Chen spent two decades in the strategy consulting industry, most recently as a Partner with L.E.K. Consulting. As a consultant, he had to become an expert in a diverse number of fields. Now, he is the senior vice president at Focus Brands and managing director of the company in the Asia Pacific region. Focus Brands’ portfolio in the region is comprised of more than 700 Auntie Anne’s and Cinnabon stores. 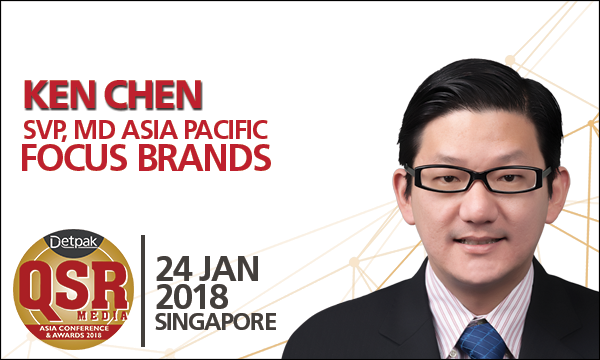 The QSR Media Asia Detpak and Awards will be on January 24 at the Grand Copthorne Waterfront Hotel Singapore from 8:30 AM to 4:55 PM.